Diabetes specialist Novo Nordisk is feeling the heat from increasingly price conscious US payers. It needs next generation innovation and growth in emerging markets to keep ahead of competitors and meet demands of outcomes-focused payers. For many years, Denmark’s Novo Nordisk was the pharmaceutical company that could do no wrong by shareholders – under the 16-year tenure of chief executive Lars Sørensen, it achieved an unbroken run of nearly 50 quarters of double digit sales growth. This great success was founded on successive innovation in insulin products and user-friendly insulin pen devices. The company also expanded into haemophilia and growth disorder treatments, all of which saw revenues rise year on year, its share price growing twelvefold between 2000 and 2016. But this golden period came to an abrupt halt last year when newly-empowered pharmacy benefit managers (PBMs) began to demand major price cuts in the US market, which accounts for around 40% of global diabetes sales, and 51% of Novo’s revenues. Novo and competitors such as Sanofi and Eli Lilly were forced to give steep discounts or otherwise see their products delisted from reimbursed lists entirely. 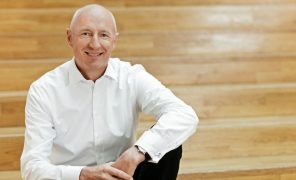 This led to Novo cutting its longer-term forecast for sales growth twice: slashed from 15% to 5%, the move sparked an investor crisis of confidence which led to Lars Sørensen stepping down from the CEO role two years early. Novo isn’t out of the woods yet in the US: there are continuing battles with PBMs, threats of new price transparency and controls, and even a legal claim that it colluded with its competitors to fix prices. Stepping into this turbulent environment is Novo Nordisk’s new CEO Lars Fruergaard Jørgensen. A 25-year insider at Novo Nordisk, Jørgensen took the helm in January this year, and brought in new cost control measures, including job losses of 1,000 employees. For Novo Nordisk, a company still rooted in principles of social responsibility which are part of the Danish culture, these measures came as a shock. He and the board are leading an evolution in the culture, but still very much doing things in ‘the Novo Nordisk way’ – which boils down to pursuing innovation with a Nordic attention to quality and good design, whether that is in new insulins, drugs or devices. Insulin to treat type 1 diabetes has always been the core of Novo’s business, but the company is once again re-examining how it can expand beyond this base to keep growing revenues and meeting patient needs. Leading its current growth is Victoza, a GLP-1 injectable which is used by type 2 diabetes patients, and which now outsells its biggest insulin product, Levemir, which saw its revenues decline in 2016. FDA insistence that companies must undertake long-term cardiovascular outcomes trials is transforming the type 2 diabetes market, and Boehringer Ingelheim and Lilly’s Jardiance pill now looks set to lead this field. It became the first drug approved to claim it can significantly cut deaths from heart attacks and strokes following an FDA label update last year, but Victoza is hot on its heels with its own data. Undoubtedly the company’s brightest pipeline hope is semaglutide. A more potent GLP-1 drug, it has shown superior results to Jardiance in cutting heart attacks and strokes, and an injectable version of the drug is likely to gain approval by the end of this year. 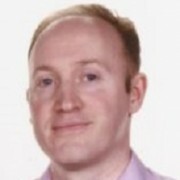 However it is an oral version of the drug which could be a landmark product, bypassing patients’ reluctance to use injections, which currently holds back uptake of GLP-1 drugs. The biggest advantage for Novo Nordisk is that it is riding a seemingly unstoppable growth in obesity and diabetes rates around the world, which shows no sign of levelling off. This is particularly the case in developing nations, from Mexico to the Gulf States, China and India, where healthcare systems are only beginning to understand the size of the problem. 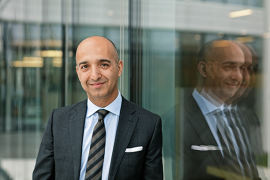 Maziar Mike Doustdar is head of Novo Nordisk’s international operations, overseeing commercial operations for the world except the US and Canada. He says the potential for growth in these markets is enormous – global rates of type 2 diabetes now stand at 415 million people, but this is forecast to rise to 642 million by 2040. This represents that ‘ticking time bomb’ (a cliché but still very true), a rise in cases that virtually no country has succeeded in stemming. But Jørgensen indicates that the company needs to shed some of its long-standing processes and procedures, including loosening its grip on how its regional teams operate around the world. China is the world’s most populous nation, and also has the highest number of type 2 patients – around 114 million, but only half of these have been diagnosed. This low rate of diagnosis and treatment is just one reason why Novo Nordisk gets just 10% of its revenues from the Chinese market. Doustdar says Novo Nordisk is “putting an immense amount of effort into raising awareness and education” among doctors across the vast country, and is also now introducing its latest products. However old habits die hard in diabetes treatment, and China is still largely wedded to older off patent oral and insulin treatments. Meanwhile in Japan, one of the world’s more mature pharma markets, patients are generally very reluctant to take insulin, a huge cultural barrier that is causing permanent damage to the health of patients. The Middle East and North Africa are also facing a huge surge in type 2 diabetes: a study by Rand last year showed that countries in the region have among the highest prevalence of the disease anywhere in the world. However stigma associated with the disease, coupled with unprepared healthcare systems, are formidable obstacles to diagnosis and treatment. Central to Novo’s plans is for it to keep expanding its revenues in diabetes, but to also be a leader in carving out new markets in related conditions, namely obesity and the fatty liver disease NASH. Terming these ‘adjacencies’ to diabetes, Novo’s leaders say they know the disease area, the patients and the clinicians. This means it could be well placed to open up the obesity treatment market – which is still not regarded as a ‘proper disease’ by wider society, despite a slow move in that direction from medical and policy leaders. Already on the market for obesity is Saxenda (Victoza under a different dose and brand name), which Maziar Mike Doustdar says is making in-roads in regions such as Latin America. This doesn’t mean to say that Novo is giving up on further innovation in insulin – but it knows it has to up its game, especially as biosimilar versions of Sanofi’s Lantus are now gaining ground in Europe and the US. Later this month the company will present more data from the DEVOTE trial of Tresiba, its next generation, ultra-long-acting insulin product, which can also reduce the risk of hypoglycaemia. The company has also launched Xultophy, a combination of Tresiba and Victoza in one injection, but this faces direct competition from Sanofi’s similar product Soliqua, as well as lower-cost individual products. Its new fast-acting insulin Fiasp was also recently approved in Europe, but has faced delays in the US because of FDA safety questions. This formulation will be especially important for type 1 patients who use insulin pumps, a trend likely to develop in coming decades. “It’s not a lack of innovation, it’s about sufficient differentiation,” and says his company has to get better at segmenting the market and targeting different patient groups. Crucial to the future of diabetes will be digital health – the ability to monitor blood glucose levels and other markers via connected devices and insulin pens. Many cloud-connected continuous glucose meters, and patient data management platforms, even artificial pancreas devices, are now reaching the market. This wave of innovation coming from the tech field is also a threat to Novo Nordisk and its big pharma competitors. Sanofi has responded to this by launching a major diabetes management collaboration with Verily, called Onduo. Jørgensen said his company was uniquely placed to be a lead innovator in a new digital era for diabetes. 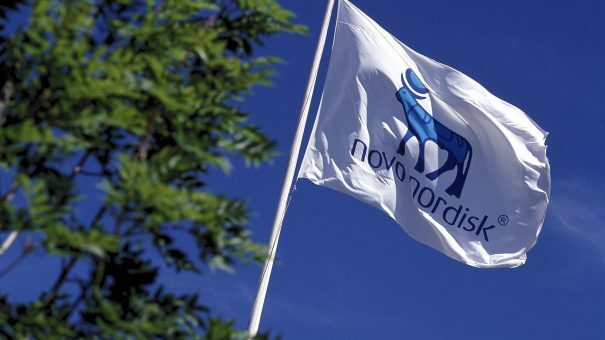 Novo is currently conducting a study of its digital insulin pen in Sweden, which uploads data to the cloud, and which the company believes could be at the centre of a whole new digital ecosystem. “That is the missing link, as no product does that today,” says Jørgensen, who believes this will reinforce Novo Nordisk’s position in the market. This digitisation will also facilitate a move towards more pay-for-performance deals, especially in the US. Doustdar says the company is already discussing deals with PBMs in the US, largely around Victoza. He says isolating the effects of a medicine in a real-world patient with type 2 diabetes remains problematic, and will only really be possible with the help of digital tracking tools. Finally, after its chastening experience in the US market, the company is reassessing its strategy once again, including its current policy on partnerships, though this is still judged to be unlikely to produce a meaningful uplift. Most notably, Jørgensen says the company is open to spending to acquire in the biopharma field. This is because its haemophilia franchise is under threat from gene therapy products which could revolutionise the field. However Doustdar emphasises that the company will focus on what it knows best, diabetes, and associated conditions such as obesity and NASH. These run-away public health problems have built-in growth dynamics to sustain the company, as long as it can meet the growing need outside the US market.